These are naturally occurring inclusions in quartz crystal! Phantom quartz crystals are said to help one understand the various stages in life that we all transition through. They are said to be an excellent tool for meditation and for remembrance of past lives. 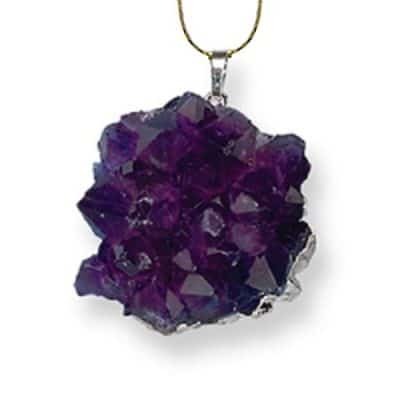 These crystals help to recover repressed memories in order to put the past into perspective. A phantom crystal symbolizes universal awareness. The green phantom quartz crystal is created by inclusions of chlorite. 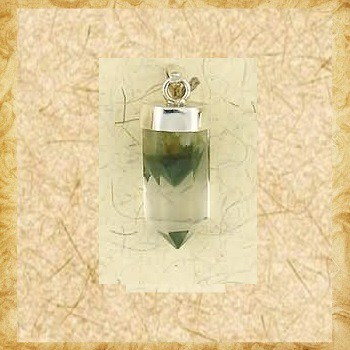 Green phantom crystals specifically connect one to the angelic realms, assisting with one’s spiritual advancement. 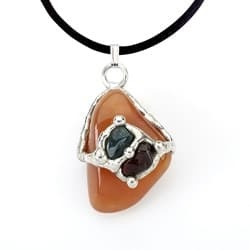 They are excellent for initiating healing and energizing the healing process. 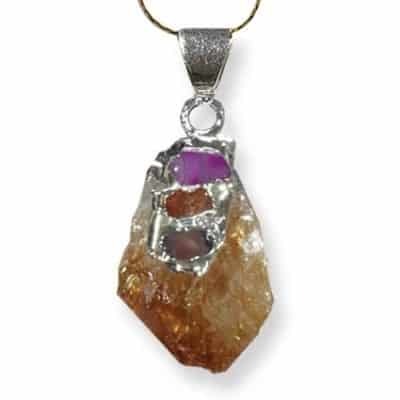 Phantom quartz describes a crystal in which an “echo” of the crystal’s physical termination may be seen within the crystal’s body. This special yoga inspired necklace brings attention to transitions, meditation and putting your past into perspective. 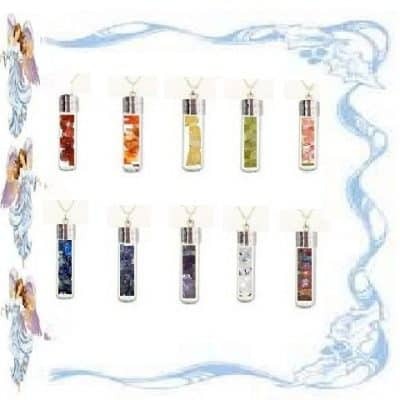 Each piece is uniquely individual and measures approximate length: 0.5″ width: 0.25″. It comes with the healing and metaphysical information about your stone and how to work with, use and cleanse your pendant. It also comes with an organza pouch for storage and a 16″ long plated chain.